An 8% decline in the number of entry level jobs and the average graduate starting salary is now £23,309 the lowest level since October 2013. This could be a reaction to the National Living Wage or fears over Brexit. However there are a number of interesting issues raised in this article. Firstly are we going to see a migration of graduates out of the Capital. Certainly the tech companies are looking outside of the capital to attract talent. The high rents and cost of locating in London are already forcing many smaller businesses out. So the availability of jobs and the cost of locating outside of London could well drive graduate migration. The other question is how valuable will further education be in being able to secure a job in the future. With the number of jobs falling the decision as to whether to take a degree may well be set against the opportunity to obtain a job after A-Levels. If you can get a job and get on to a career path given the trends outlined above and in the article this may well be the path that leads to success? The graduate class of 2016 faces an even tighter employment market after an 8pc slump in the number of advertised jobs over the last year as salaries dropped to late 2013 lows. 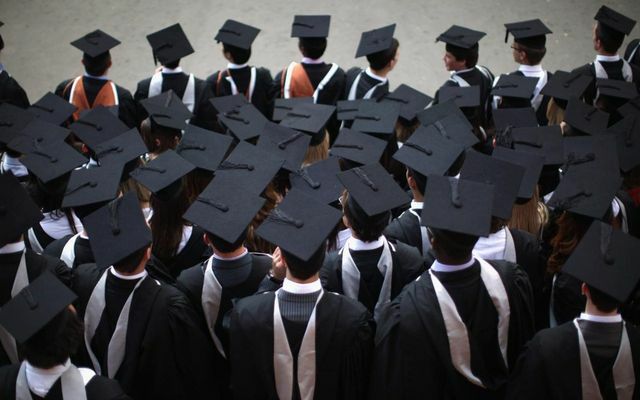 The report found that graduates hoping to clinch a job stand a better chance by avoiding high-competition employment hubs such as London in favour of Oxford and Cambridge. In Cambridge last month Adzuna noted an equivalent of eight jobseekers for every 100 vacancies while in Oxford there were 12 jobseekers for every 100 vacancies. The figures stand in sharp contrast to the national average of 54 job seekers per 100 vacancies in the same month.